This Spotted Leopard Pipe is a gorgeous glass pipe perfect for smokers of all kinds, new and old. 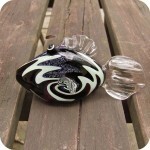 Right off the bat this pipe stands out as one of my personal favorites for its design, colors, and its overall vibe. 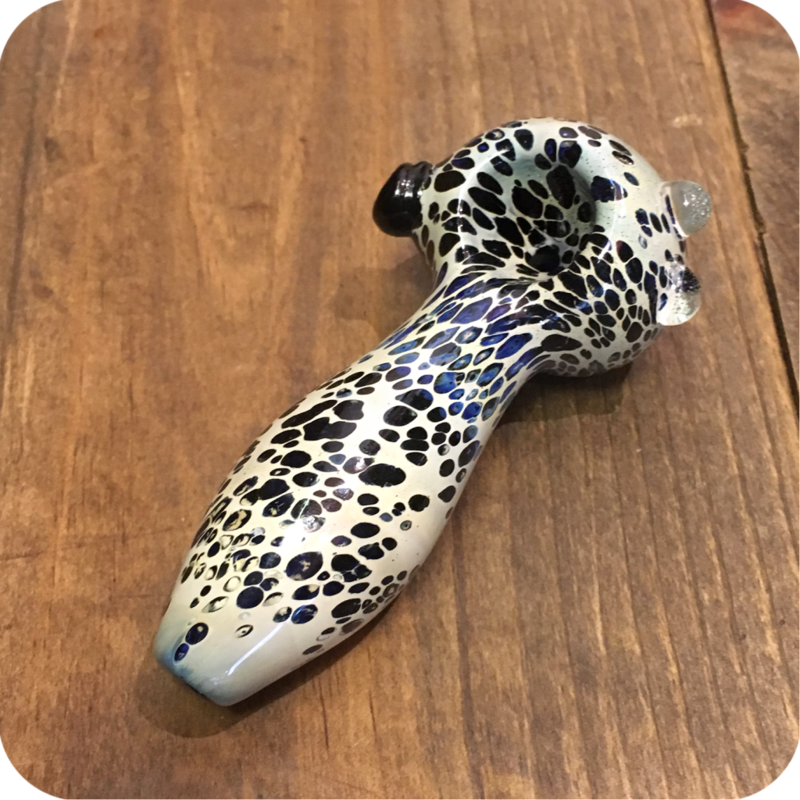 A washed out white background is met with hints of blue, and dark spots giving it a leopard-esque print. The opaque quality of the glass keeps it looking cleaner for longer. 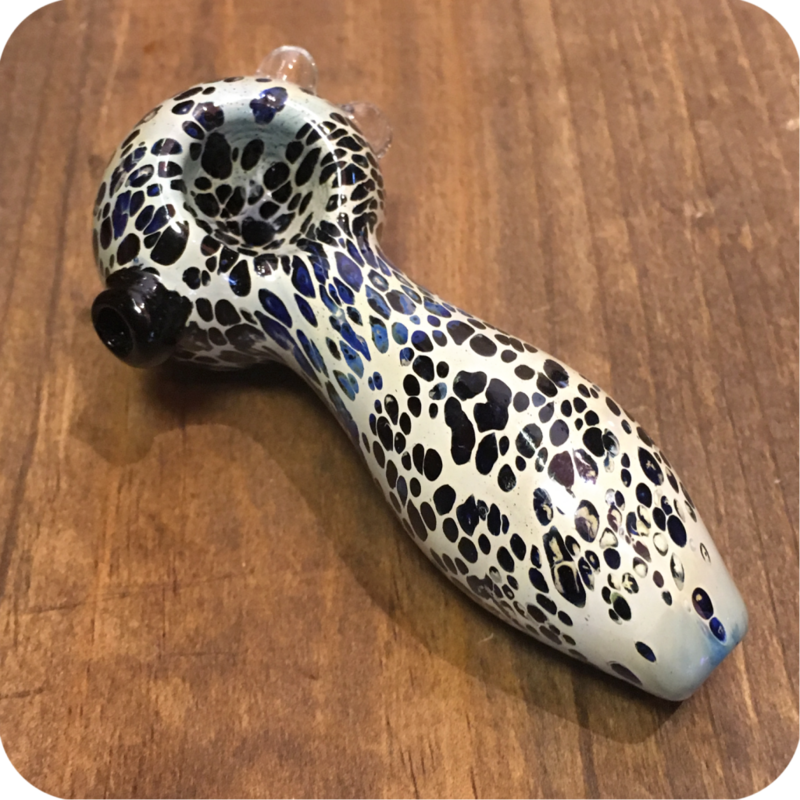 This pipe is only about four inches, but it packs a mean punch. 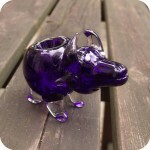 Thanks to the widened mouthpiece this pipe allows for more smoke than most pipes of it’s size. 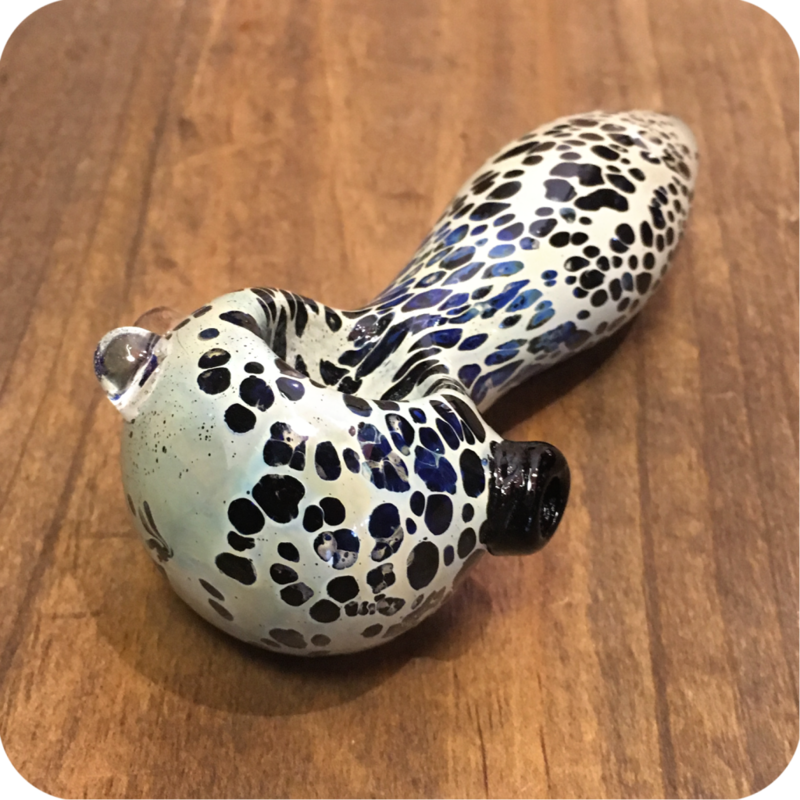 With a very generous sized bowl, this piece could easily be packed and passed around with friends, or kept to yourself for a solo sesh. 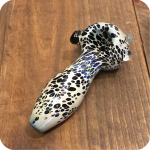 Either way you will not go wrong with the aesthetic or functionality of this spotted leopard pipe. Finally, do not forget to swing by either one of our three Brooklyn store locations to see what else we have to offer! We are located at 12 Wilson Ave, 518 Grand Street, and 377 Metropolitan Ave. 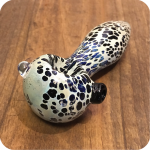 Tags: glass, glass pipe, leopard pipe, Spotted Leopard Pipe.